The little things matter most. Didn't your granny ever tell you that? Creepy animals abound on earth, outnumbering us biggies in most cases. With humans of course, there's a sort of over-production since the industrial revolution made all corners of earth and space available. So we possibly outnumber some species of butterfly that's hanging on in a corner or Alaska for dear life. Honey bees are the indicators of change in many countries. In ecology, indicator organisms tell you a lot, without any complex equipment, apart from counting them. The bees in Europe and the Americas have dropped like flies with insecticide poisoning and parasitic infections. The people to consult are the Invertebrate Conservation Trust or "Buglife." Mammals, birds and plant families decline in numbers, but insects in particular are in steep fall. We are not aware because the missing animal is unnoticed under normal circumstances. When a wasp stings us or the dog chases a beetle, we do pay attention, but when these events don't take place, we just don't notice it. If you eat a bear that came into your garden, that means you noticed! Moths in your headlights used to stream through your visual beams for miles when you were night driving. Nowadays, we rarely see one. The UK has a great tradition of recording both butterflies and moths, for several centuries. Two-thirds of moth species have declined in numbers since 1970, with one third of all moths missing in action. That means 200 species of the 337 have suffered from modern environmental conditions. The individual species were magpie moth (down 69%), once a pest, the cinnabar moth (83%) and the woolly bear's parents, the garden tiger (89%.) Worldwide, an incredible number of 530,000 invertebrate species it is thought will be made extinct during the rest of this century. As far as butterflies were concerned, the few species in the UK (58) declined in 70% of cases, some now nearly extinct. Small tortoiseshells, Aglais urticae, are being increasingly parasitized by a fly called Sturmia bella. In similar fashion, the 25 native bumblebees have lost 3 species totally and have the rest steeply declining in numbers. As these are the indicators, those species that haven't been studied can be assumed to be hit, either in the same way, or much more or much less. It's probably going to be necessary soon to actually do the math. These species are our pollinators, scavengers and the only food sources for other wildlife. The glaring example here is the Coleoptera (beetles), where Britain has 4000 species, but we only know of 250 losses from this Order because they have disappeared. Highly specialised diving beetles or similar predators must have been hit hardest, with generalists surviving in some cases. Isolation is the problem pointed out by Matt Shardlow of Buglife. He explains, "They can't just live anywhere, they need a specific habitat feature, and often these habitat features are now highly fragmented and isolated, such as fenlands, or ancient woodland." 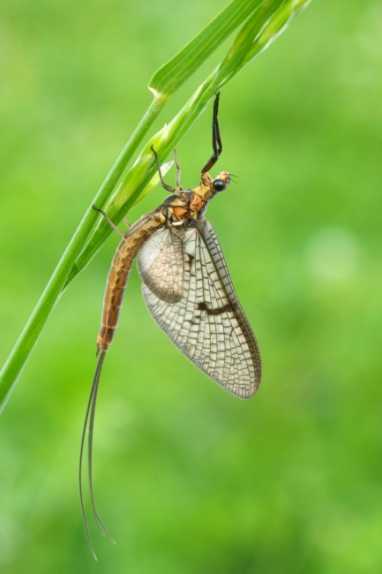 One significant UK loss is the ephemeral mayfly. Despite living for only 24 hours in some species, the popular food (for fish) organism must have fishermen tearing their hair out. Perhaps it will make one of those clever "flies" for use in fly-fishing? You can write to your political representative most responsible, do your own bit of wildlife gardening, think about life without the soil, wood and shore organisms, but the suggestion must be to do something! Pesticide neonicotinoids were the subject of a recent article of ours. Just two suggestions to help, but invertebrates worldwide need much much more. Innumerable actions to equal the numbers they used to have resident in our midst.